With light trading volume and small trading range, the S&P 500® finished more than eight points higher – its fourth consecutive gain and ninth bullish close in the past 11 trading sessions. The intermediate posture remains strongly bullish with rising long-term Market Sentiment. The near-term line moved higher into overbought territory but still holds the possibility of a bearish near-term divergence. The momentum line dipped but not low enough to warrant concern about any impending posture change. 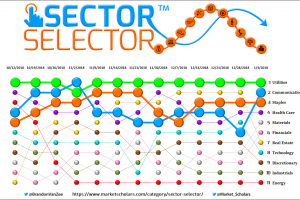 Aside from the outperforming Russell 2000®, all the other major indexes show the same patterns on their respective Market Forecast charts: strong bullish postures with possible emerging bearish near-term divergences. David started in the investor education world in 2004 with Investools, the former education affiliate of TD Ameritrade and thinkorswim. During this time, he has coached hundreds of individuals through 1-on-1 interactions and group webinars on how to invest and trade in the stock, options and forex markets. He also taught live workshops and presented before hundreds of clients at large-scale investor education conferences. His areas of expertise are in options strategies – ranging from long calls and puts to selling verticals spreads to more advanced multi-leg strategies, like iron condors, calendar and diagonal spreads – and technical analysis. 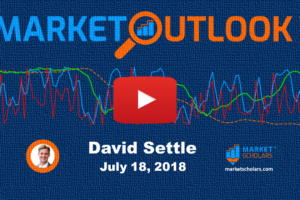 He is the originator of the popular Market Forecast daily YouTube video and now currently co-hosts the Market Outlook daily market review.